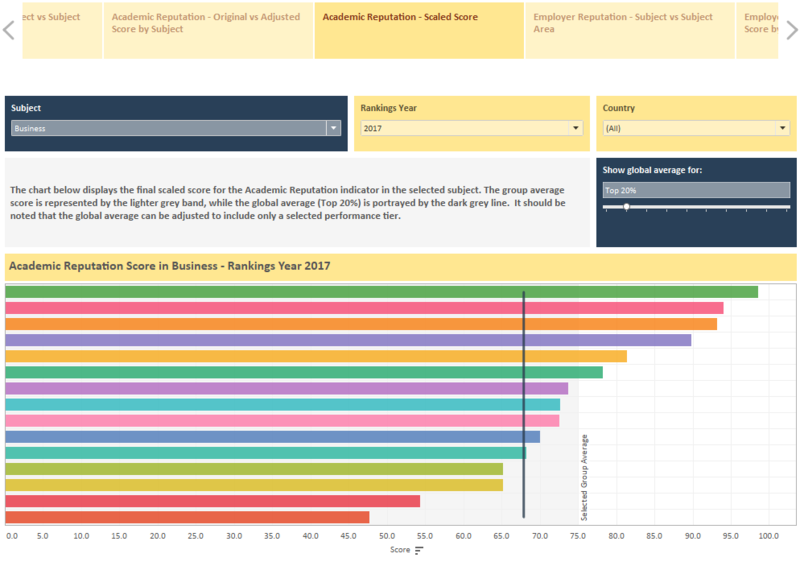 that of other institutions to be used for competitive analysis. 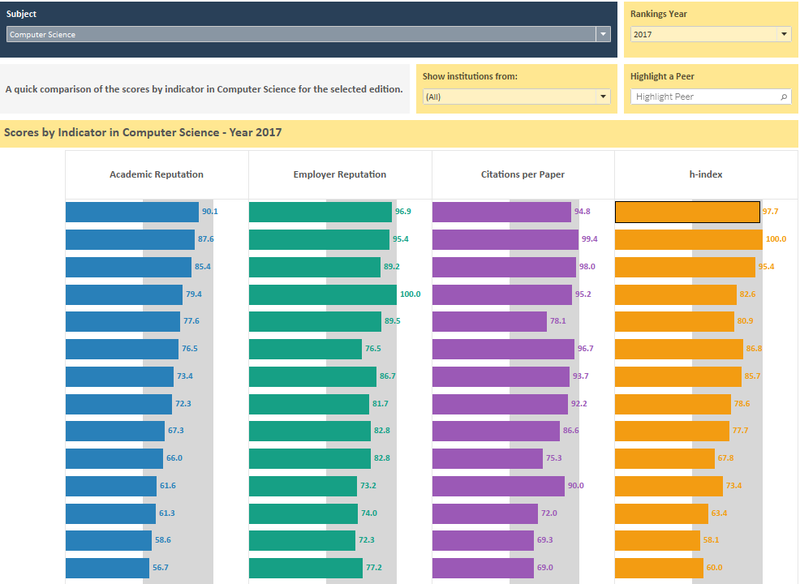 Access Data Behind Rankings – Utilize exclusive QS World University Rankings by Subject data, in up to 48 academic areas, while compared against 15 identified peers. 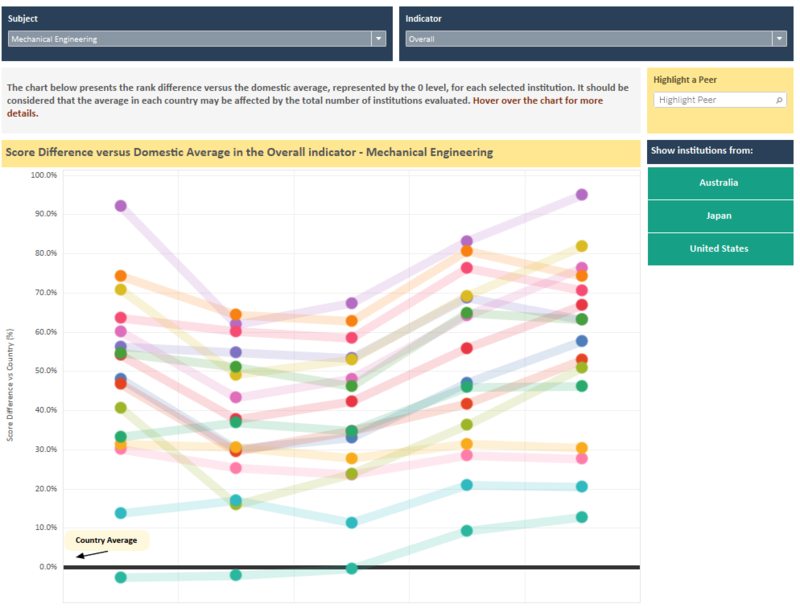 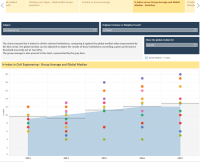 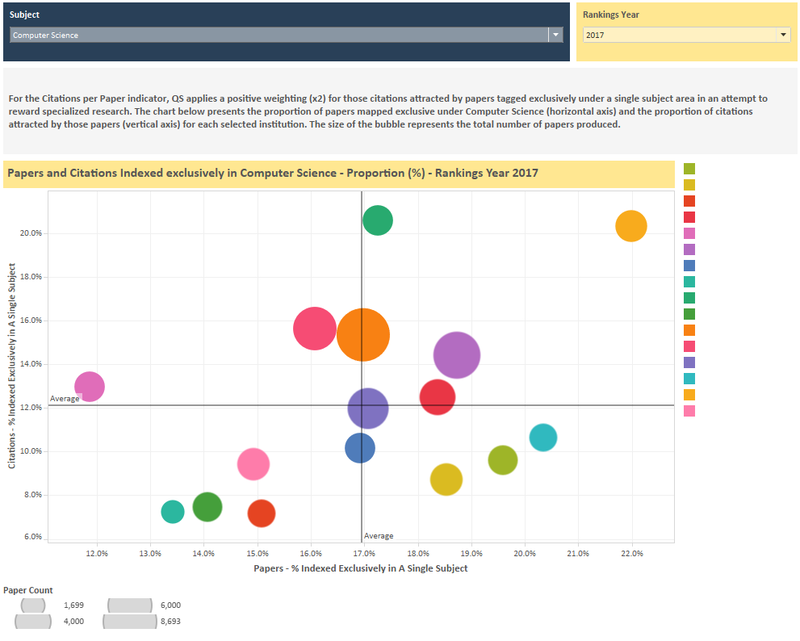 User-friendly Dashboards – Comparative and filterable data will be delivered to your institution in a dynamic and easy-to-use format, accessible from a user-friendly dashboard. 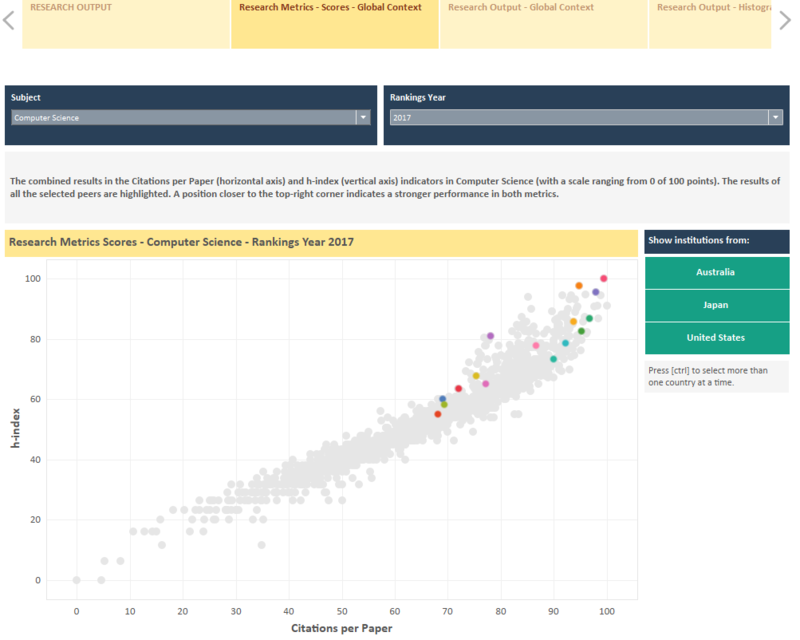 Use as Framework for Progress – Helps to identify which areas are driving your overall scores, so you can improve your strategy in subject areas you want to highlight and strengthen. 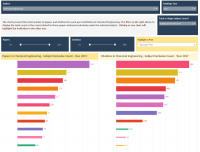 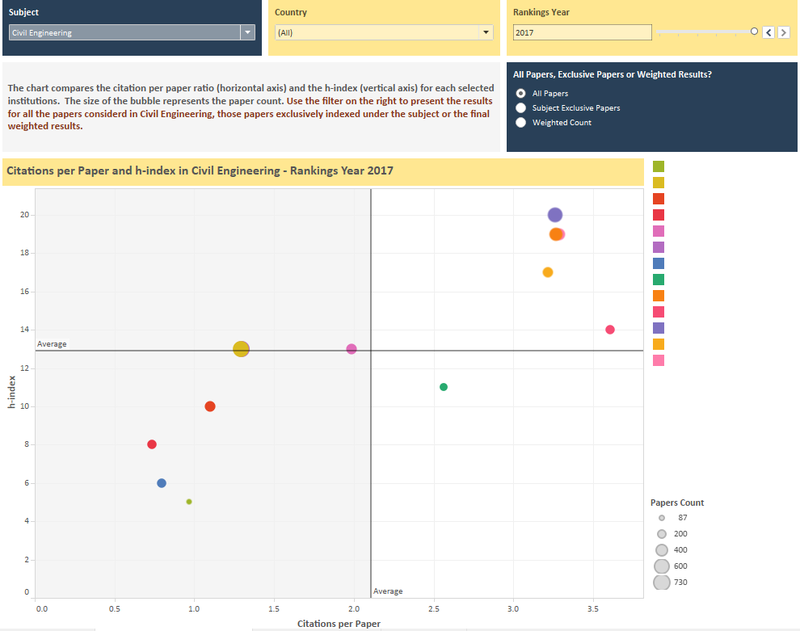 Highly Flexible Tool – The QS Subject Rankings Tracker allows you to filter and break down the data in diverse ways. 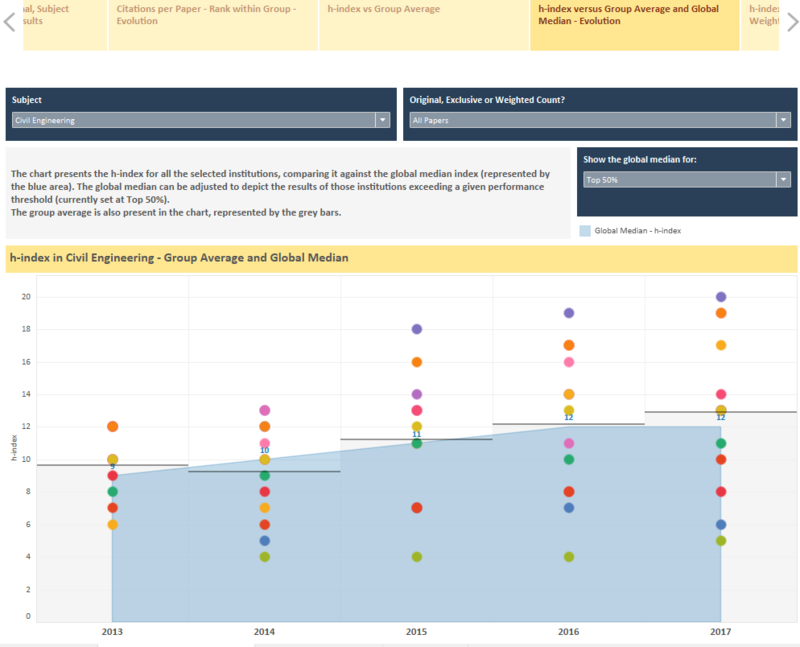 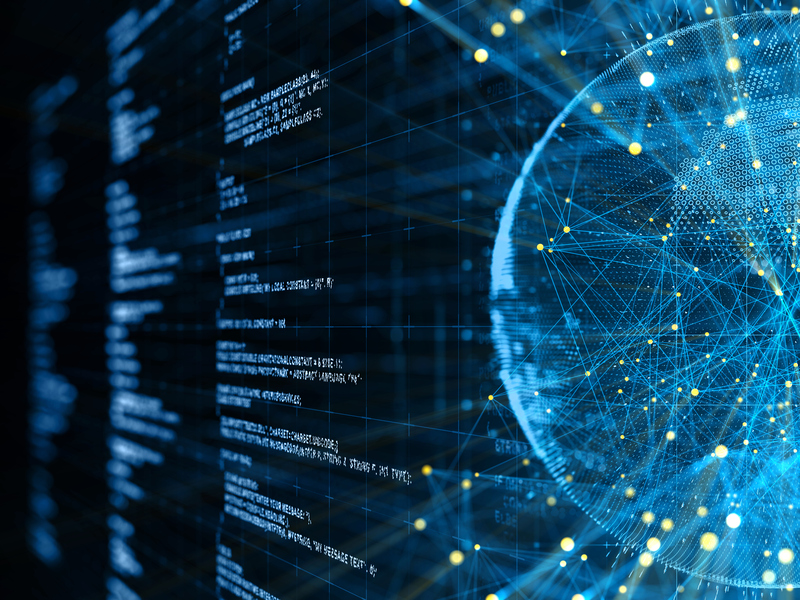 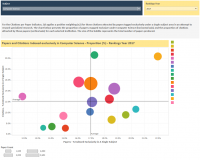 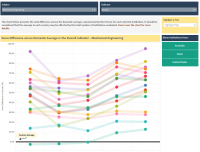 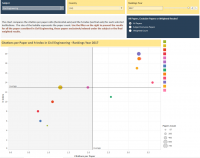 Insightful Visualizations – Receive prompt, expert support from our analysts to help you contextualize the information provided to you from our datasets. 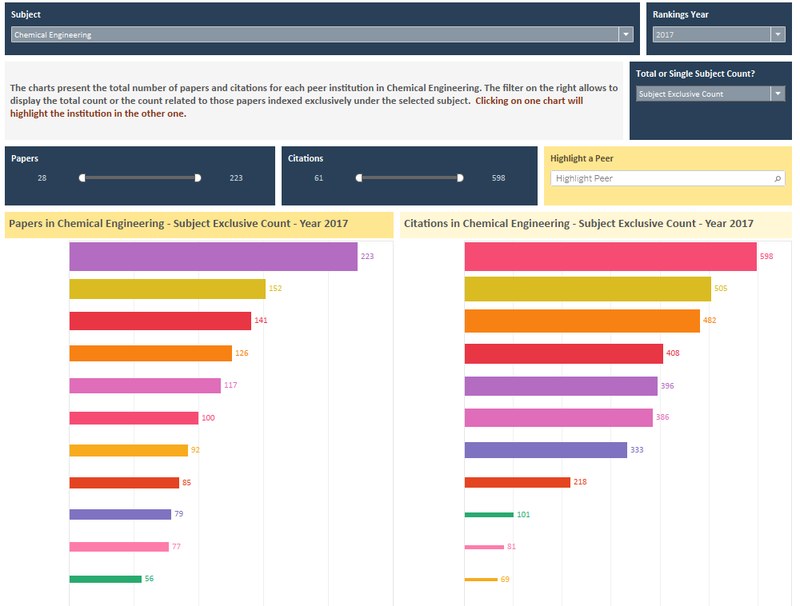 Five-year Analysis – You will receive information on faculty staff and students’ data, research output data and reputation analysis data by subject for the last five years.